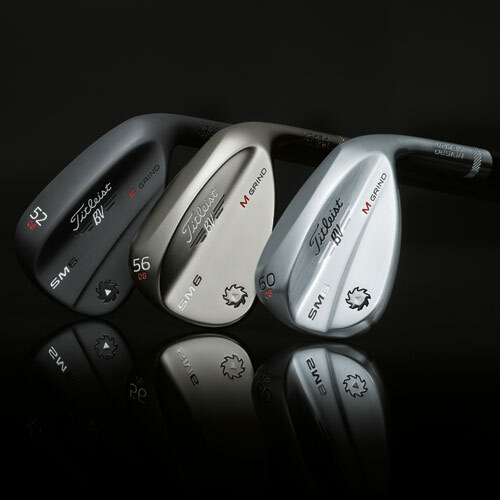 Vokey Design Spin Milled 6 wedges deliver elevated performance across the three components of wedge play: Distance Gapping, Shot Versatility, & Spin. • Progressive Center of Gravity design produces proper distance gaps for each loft with exceptional feel. • Bob Vokey’s tour developed sole grinds provide each individual golfer with shot versatility for their swing type and course conditions. • 100% inspected TX4 grooves and face texture deliver more spin and control. • Low Lofts (46-52): Lower CG increases energy transfer efficiency for more ball speed & superior feel. • Mid Lofts (54 & 56): Mid CG position aligned for improved distance and trajectory control. 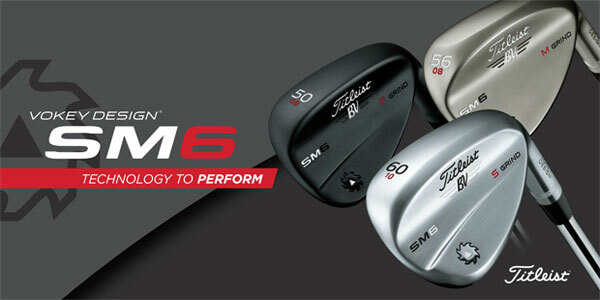 • High Lofts (58-62): Higher CG tightens distance dispersion for better distance gapping and ball flight control. 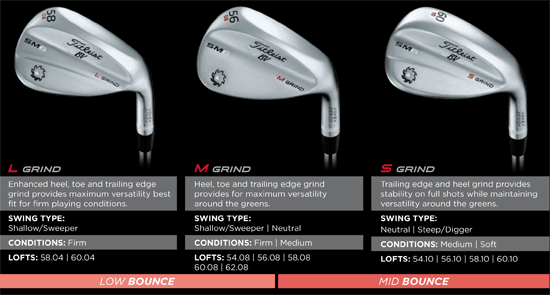 • General: CG enables players to more consistently hit precise distances with their preferred trajectory. • TX4 grooves feature new parallel face texture creating a more consistent groove edge and tighter quality tolerances. The result is more spin. 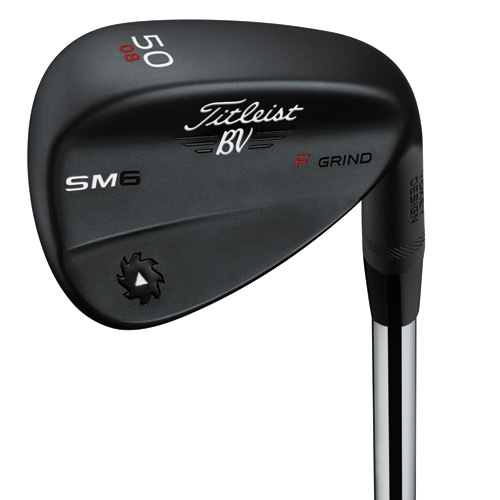 • Low loft wedges (46-54) are designed with narrower, deeper grooves. 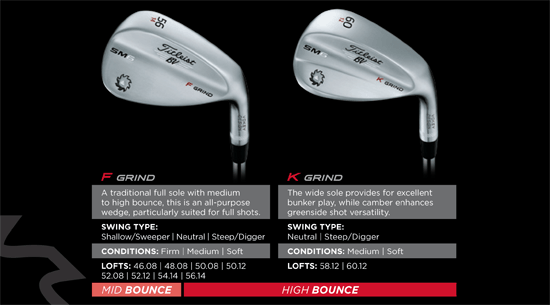 Higher loft wedges (56-62) have wider grooves. These distinct designs deliver optimized golf ball to groove edge contact for maximum spin. Provide each golfer with shot versatility for their swing type and course conditions.